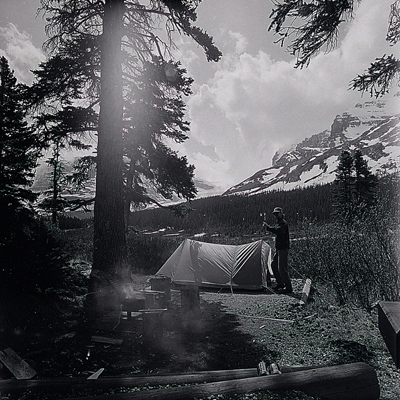 Morning in a campground in the Canadian Rocky Mountains. This was taken a while back as can be deduced by the antiquated tent. I’m not sure which campground this was in but there are not many bad ones in either Jasper, Banff, Yoho or the other parks.